What does the term "blind robber" mean in the world of poker? 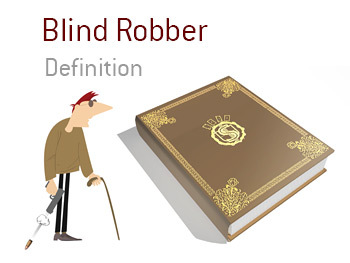 What is the definition of the term "blind robber" in poker? In poker, a "blind robber" is a person who looks to "steal the blinds" practically any chance that they get. To a "blind robber", the strength of their own cards is immaterial. Instead, they are looking to put pressure on the small and big blinds in an attempt to get them to throw their hands away. A "blind robber" will use the strength of position to get the small and big blinds to possibly throw away superior hands. 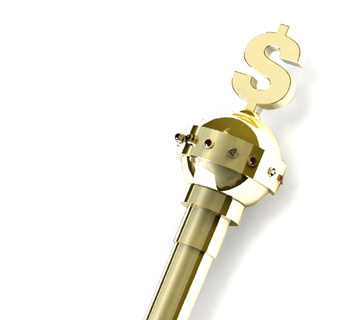 For instance - let's say that the action is folded around to the button, who puts in a raise holding 3-4 offsuit. The small blind looks down at 7-6. Can they call out of position? They shouldn't so they toss their hand away. The big blind looks down at J-8. A more experienced player will defend their blind by calling or perhaps even raising, though most inexperienced players will likely throw this hand away. If the big blind decides to call and the flop comes 4-5-A, can they call a continuation bet from the button? A "blind robber" would be well-advised to mix up their play a bit so that other players don't catch on to their tactics. If a person raises every single blind, eventually other players will catch on and start to play back at them.